I had the opportunity to meet with and interview Khadeshia Beam. This talented, young entrepreneur from Brooklyn, who resides in Atlanta, Ga. is a poet, model, actress and the inventor of K. Beam Creations Custom Buttas. Read her interview to learn more about K. Beam Creations Custom Buttas. A. I decided to create buttas based on the lack of true natural hair care products in today’s market, as well as converting my hair to natural in 2002 and due to being diagnosed with dermatitis. I do independent research on natural ingredients and have a natural creative mindset that I’ve been blessed with by the creator. 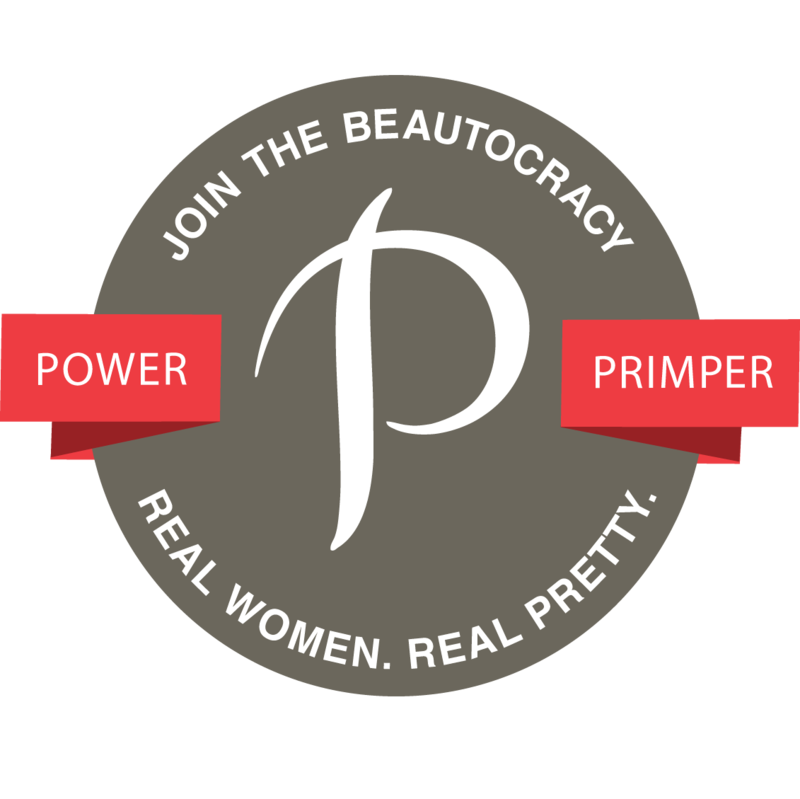 I believe everyone possesses beauty and that beauty should be reflected in their day to day life style as well as nurtured, which is why I continue to create Butta. Q. How long have you made butta’s? A. I’ve been making butta since 2002, and as of 2009 when I got laid off of my full-time job, decided to give K. Beam Custom Butta full-time attention. Q. How did you come up with the brand name, K. Beam Custom Butta, what is it symbolic of? A. K. Beam Custom Butta is indeed a symbolic name to me. I lost my father at the age of one and wanted to incorporate my his last name, which is also my last name into my business, and butta was a term I adopted, based on a term we used when I was a child that meant fly, special, all that, the best, and it also pertains to the texture of my skin and hair care products. They are not cream or lotion, they’re smooth like butter. Q. 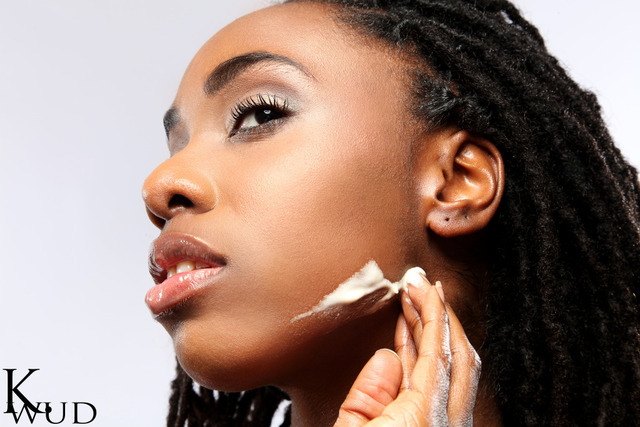 There are a many skin care products out on the market these days, what makes your body butters stand out compared to others? A. A lot of quote on quote natural products contain preservatives, which deplete the natural ingredients in the products, or contain mineral oil/alcohol, etc. My product does not contain mineral oil, alcohol or perfume. K. Beam Custom Butta provides the customer an option of having their butta scented with uncut fragrance oil or essential oil. I also use 100% raw shea butter. In addition I use unrefined carrier oils, and make custom buttas based on the individual skin and scent preference. My products are also created with healing in mind. I use specific oils that are necessary for healthy skin and hair. Q. How long does it take you to make your custom butta’s? A. It can be an all day process, because there are several different stages that I must go through. Q. What K. Beam Custom Butta product can’t you live without? A. I can’t live without the hair or body butta; I only use my skin and hair care product. Q. What K. Beam Custom Butta is your best seller? A. 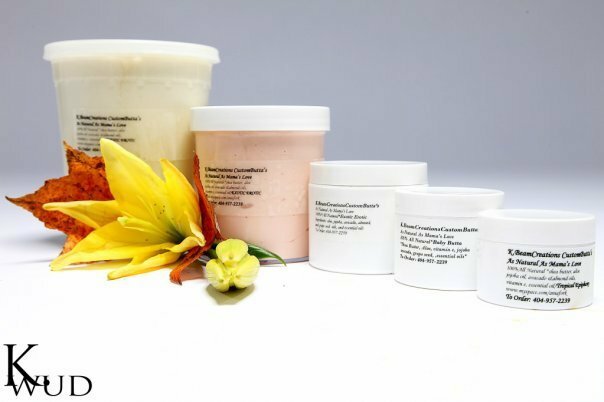 The best seller is the Hair Butta Subtle, Hair Butta Passion and SHE (for women) and HE (for men) body butta. Q. Where do you come up with the scents for each of your butta’s? How many different scents are in your line? A. I mix and make my own scents based on what oils smell good together and what women and men like to smell like for the most part. I have 6 different scents in the line currently and I do a fragrance of the month for each month based on the demand for certain types of scents (sweet, subtle, etc.). A. K. Beam Custom Buttas are great for all skin and hair types. The Buttas have mamy purposes as well, the body butta is great for tightening up the skin, clearing scars, reducing stretch marks, arthritis, massage, yet I’m doing massage butta now, with essential oils. The hair butta can be used as a hot oil treatment, leave in conditioner, day to day moisturizer, setting agent for presses, curls, twist, locs, waves, and it’s wonderful for men and women. K. Beam Custom Butta will also carry Hold Me Down starting July, which is a Butta gel made with flax seed, aloe and raw shea butter, and it’s a great natural alternative to hair gel. I’m grateful to you for sharing my product with others on your blog site. Having my own business has been a day to day adjustment and learning experience, so I’m always extremely appreciative when people want to know more. I’ve used the hair butta, and it is indeed wonderful. I ‘ve even used it on my sister who has dry, coarse hair, and it worked wonders.